An Associate degree in bookkeeping is a great path to employment, as the demand for people with those skills grows steadily. The Bureau of Labor Statistics predicts an 11% growth by 2022, which underscores the need for people with an understanding of how to balance the books. Most businesses have a variety of financial functions to manage as they buy and sell services, products and supplies. Depending on the size of the company, they may employ one person to handle accounts payable and accounts receivable along with other specific functions, or hire someone separate for each job. Many fresh graduates of bookkeeping programs get their start doing financial data entry, and may hold titles such as bookkeeper, bookkeeping clerk, accounting clerk or auditing clerk. In time, they may have more responsibility for day-to-day reporting, generating financial statements, and preparing bank deposits. Especially in a smaller business, bookkeepers may eventually move up to have titles such as Controller or Financial Manager; however, holding these titles sometimes requires additional specialized accounting education. Bookkeepers may be informally called “accountants,” but the accounting title involves having specific education, as decided by the state accounting board, and duties that include business analysis, reporting, and even financial advice. A company that manages its day-to-day work with a bookkeeper often calls in a certified accountant for taxes, audits and other specialized work. For bookkeeping graduates, the coursework includes accounting, computer classes, and math, among others. There is usually a class directed toward obtaining bookkeeper certification from the AIPB, American Institute of Professional Bookkeepers, or the National Association of Certified Public Bookkeepers. In contrast, accountants have a more rounded business administration background that allows them to see the bigger financial picture of a company. They may study to obtain their CPA from the AICPA, American Institute of Certified Public Accountants. Despite the difference in education and capabilities between bookkeepers and accountants, a bookkeeper may be a perfect fit for some companies. The smaller the business, the more likely it is that a person with bookkeeper training will be able to manage routine financial duties, with occasional oversight from an accountant. Hiring a bookkeeper is less expensive than hiring a person with an accounting degree or a CPA for routine bookkeeping duties. While bookkeeping, especially when managed through programs such as QuickBooks, is fairly easy to do, small business owners want to devote their time to growing the business itself. A bookkeeper can make sure the bills are paid, assist collections, process payments, set aside funds for withholding and other taxes, and help keep the company on financial track. Hiring a bookkeeper, even based on the generous going rates, and only using an accountant occasionally is a fiscally sound approach for many small businesses. 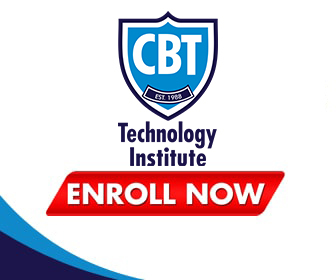 If you are interested in obtaining the credentials for bookkeeping, CBT College offers both a Bookkeeping Assistant diploma program and an A.S. in Bookkeeping degree. Contact us at 305-764-3165 to learn more about admissions and find a campus location nearest you. Is A Business Degree Worth It If You Do Not Go To A "Top" School?